In 2001, Kristin Connor’s 5-week-old son was diagnosed with neuroblastoma. Fortunately, he was successfully treated and declared cancer-free shortly after he turned 2. The life-changing experience of guiding her son through treatment and survivorship left Kristin with the strong desire to become involved in the childhood cancer community. She took a leave of absence from her job as an attorney in 2004 to work with a national childhood cancer organization. Realizing she wanted even more direct involvement with patients and families, she became executive director of the nonprofit cancer research foundation CURE Childhood Cancer in March 2006. 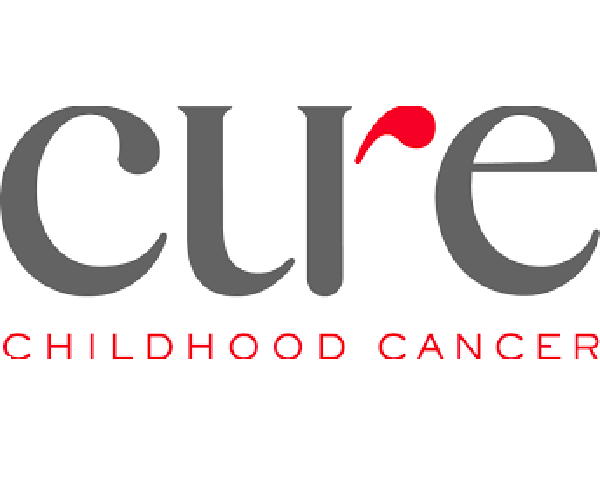 In an interview with CURE magazine, Kristin offers advice for parents of children with cancer and describes CURE Childhood Cancer’s programs to support families and fund research. Based on your personal experience, what advice do you have for parents of a newly diagnosed child with cancer? In terms of advice, I would say that it’s okay to ask a lot of questions and to seek information, and not take everything at face value. My son had a presentation of neuroblastoma that was a little out of the ordinary and so there was not a consensus on how to treat it and what the proper intervention was. It took me a little while to get comfortable with the idea of getting those second and third and fourth opinions, but you realize that you really need to be an advocate for your child. Don’t be afraid to call another doctor or institution and ask questions. What I found, which really surprised me, was that these doctors were extremely accessible. They were so attentive. When I called to say, “I’m not sure what approach we should be taking here,” they were very willing to talk with me and very willing to review his case and give their opinion. As a parent, you have to know that you’ve done everything you can to make sure that the treatment that you’re pursuing is right. I have great regard and respect for the doctors—they’re wonderful—but I also needed to be comfortable that what we were doing was the right thing for him. Your son was just a baby. What would you advise of parents of older children who have a greater awareness of what's happening? With older children you need to explain to them what’s going on. I would suggest that parents seek the input of child life specialists at their hospital, because those folks are really trained and they know developmentally appropriate ways to talk to your child about what they’re going through and what challenges they will face. I think those are the very best people to guide your conversations. What should parents do who are interested in exploring clinical trial options for their child? I wish there was a single database for parents to search; however, it actually takes a lot of research to find a trial. I would say the best approach is to talk to your doctor and also call other leading institutions that are on the forefront of childhood cancer treatment. These places usually have a navigator or someone in that role who can review your child’s records and determine if they are eligible for a clinical trial at that institution. What are some of the key considerations when children transition from treatment to survivorship? Survivorship is a critically important issue. These children receive treatments that have what we call “late effects.” A lot of the treatments they receive put them at risk for health issues down the road and we continue to know more and more about what those risks are, depending on the treatment they receive. Here in Atlanta, there’s a survivorship clinic that the kids go to at least once a year. And they have “survivorship passports,” which not only list the drugs that they received, but also detail what late effects the child is at risk for. For example, if a girl received radiation to her abdomen or chest, she might need to start having mammograms in her 20s. More and more children’s hospitals have these survivorship clinics that are really trying to educate kids and help them manage their survivorship, and prevent as many of these health risks as possible. And the real challenge that we see is that when the kids get older and start to take control of their own care, it can become a greater struggle to get young adults to understand their health risks and ensure that they remain proactive in managing their survivorship and continue to get the screening and care that they need. What are some of the advocacy issues that are unique to the childhood cancer community? Childhood cancer is the second-leading cause of death in children and the incidence rate is rising. However, we are not addressing this problem as a nation. Less than 4 percent of federal funding for cancer research is appropriated to researching cancers that affect children. Also, the major national cancer organizations just don’t put a lot of funding into childhood cancer. When I learned that this was the state of things, coupled with my personal experience with my own child, I realized I wanted to become part of the solution. How is CURE Childhood Cancer working to improve the outlook for the childhood cancer community? CURE Childhood Cancer’s primary mission is funding research looking at cancers that affect children. We are funding about $2.5 million every year in research projects all over the country. We prioritize clinical and translational research over basic science. We require that the researchers be able to tell us how they expect their work will have a clinical or therapeutic application within five years. We feel so strongly about delivering new options to the bedside. We also provide support to patients and families who are going through cancer. We provide emergency financial assistance—that’s really our biggest program. We also have a counseling program that subsidizes professional counseling through our network for patients and their immediate family members (parents, siblings). Here in Atlanta, we serve meals in the hospitals three days a week, and we also have a bereavement care program for families who have lost a child to cancer. To access our financial and counseling assistance programs, families go through their social workers, who submit the applications to us and then we review them and go from there. More information about our patients and family support programs is available at our website.